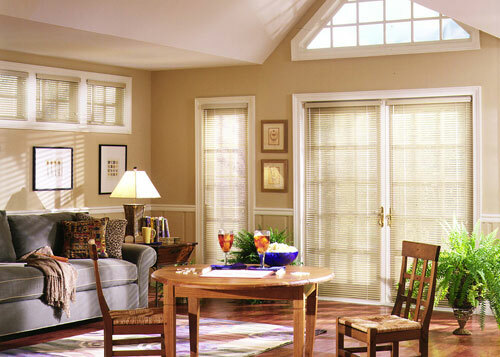 The ConQuest LX mini blinds have 1" slats made of durable 6-gauge aluminum and are available in over 40 designer colors. Every ConQuest LX mini blind includes a headrail with an integrated valance, a bottom rail, and color-coordinated components. The headrail and bottom rail are constructed from the best dual light-blocking steel. 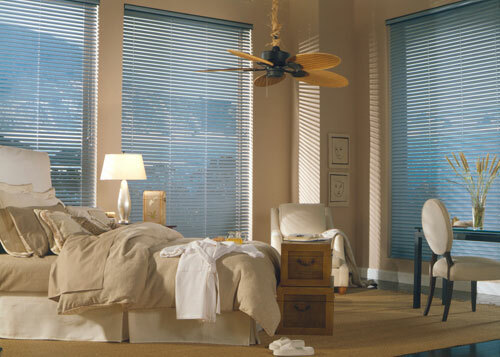 The ConQuest Atta LX mini blinds have 1" slats made from durable 8-gauge aluminum and are available in 16 different colors. 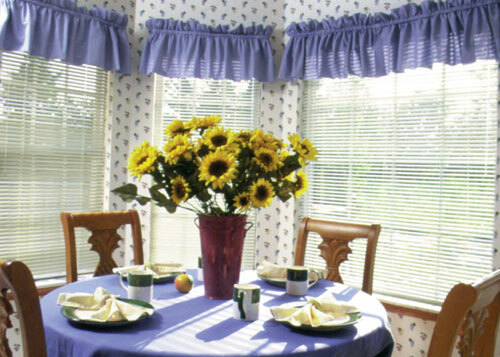 The Atta LX mini blinds include an integrated valance with a dual light blocking steel headrail and bottom rail and color-coordinated components. The Intrepid mini blinds have 2" slats made of durable 8-gauge aluminum, come with a valance, and are available in 13 designer colors. 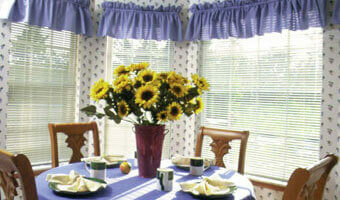 Intrepid mini blinds feature a low-profile headrail, a molded trapezoid bottom rail, and color-coordinated components. Whether you have a home in Laguna Niguel or a business in San Diego, Castle Shutters will provide you with expertly designed and installed mini-blinds at an affordable price. Our service area includes all of Orange County, Los Angeles County, and San Diego County. Call us today for a free on-site consultation.